While conventional treatments are available to treat neuropathy, researchers are investigating the use of supplements and the development of nerve cells. Often, patients prefer supplements to other complex treatment options considering there are fewer side effects. Supplements may extend its benefits to other areas of your health and well-being. Vitamins such as B-complex are important to the human body for various functions to work properly. The body’s defense mechanisms could depend on it. Vitamin B-complex for neuropathy, in particular vitamin B12, play crucial roles in neurological health as well as providing energy, producing red blood cells and helping to improve degeneration in the nervous system. What are the best vitamins for neuropathy? Consuming vitamin B complex in the early stages of nerve damage deserves consideration as an option for treatment. When it comes to proper functioning vitamin B12 is known to help protect the nerves of the central and may enhance peripheral nerve regeneration. A vitamin B1 (thiamine) and B12 (cobalamin) deficiency can lead to different neurological and psychological problems, though a vitamin B12 deficiency is not really common in young adults. It’s the elderly people between 40–90 years of age who are inclined to have it and therefore, they develop peripheral neuropathy (disease of the nerves) weakness, and dementia as a direct cause. When peripheral neuropathy goes untreated, it can result in permanent nerve damage. With this in mind, researchers need to complete further studies to determine the value of vitamin B and how to prevent its deficiency as it relates to nerve pain and neuropathy. We need vitamin B1 to process carbs, fat, and protein. Each nerve cell of the body requires vitamin B1 if it is to fuel the body and function normally. Controlled research shows that by taking vitamin B1 with high amounts of vitamin B12, symptoms of diabetic neuropathy may improve significantly in as little as four weeks. Combine B6 with the treatment and indications could further improve. Because of this, doctors approve of the vitamin for optimal relief but there’s more. Vitamin B1 (thiamine) may prevent brain damage and nerve disorders in people suffering from the effects of alcoholism, including withdrawal. This is highly important to thousands of individuals as even a short-term deficiency can cause permanent damage to their mental capacity and nervous system. But did you know there are two kinds of B1 vitamin? Thiamine is most commonly found in supplements. Benfotiamine is the other form of vitamin B, which is more effective when it comes to cellular tissue absorption. It’s also what’s in NutriNerve. 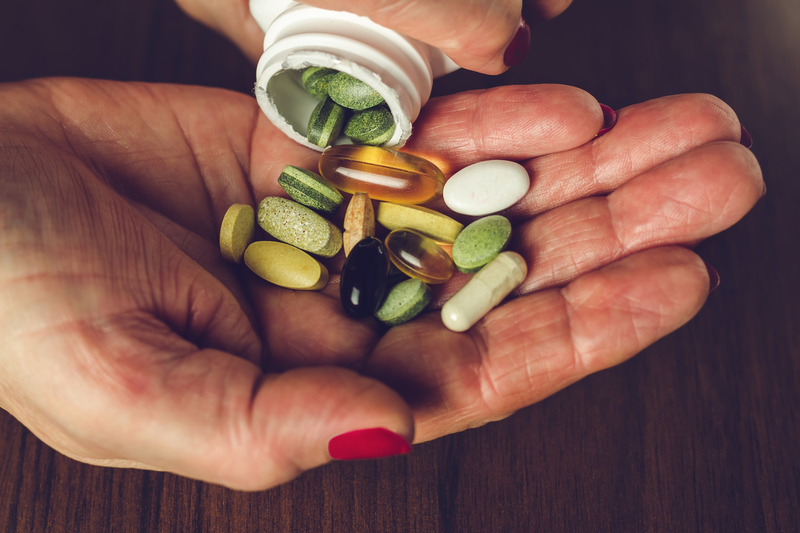 If you’re wondering what are the best vitamins for neuropathy, Dr. Vinik believes it’s a combination of several vitamins. The formula in NutriNerve® includes Vitamin B-12, Cholecalciferol (Vitamin D), Alpha Lipoic Acid (ALA),Gamma-Linolenic Acid (GLA), and Benfotiamine (A Vitamin B-1 Derivative). Take NutriNerve and you don’t have to worry about how much B-1 and B12 should you take for nerve pain. Disclaimer: Before starting any new supplement or vitamin regime, consult your doctor. He can best advise you how to take any new supplements and its side effects if any. Additionally, he will study the medications you’re currently taking to see if there are any conflicts. Although vitamins are helpful, we do not recommend they take the place of your prescribed medication.